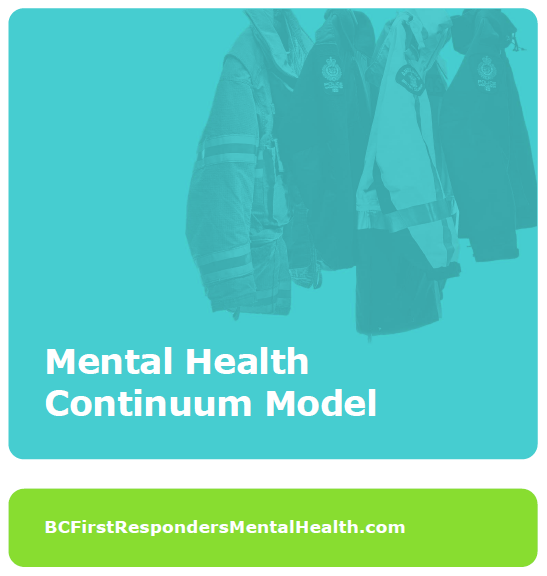 The Mental Health Continuum Model recognizes the spectrum of health concerns, both mental and physical, which may impact people during their careers. The model goes from healthy, adaptive coping (green), through mild and reversible distress or functional impairment (yellow), to more severe, persistent injury or impairment (orange), to clinical illnesses and disorders requiring more concentrated media care (red). The Mental Health Continuum Model can help you recognize the signs and symptoms of poor mental health.